This is our detailed review of the highly buyer rated Flymo FTL330 Turbo Lite Electric HoverMower. This hover mower came out as the number three buyer rated hover mower, on our top 5 list that is currently available in the UK. The Flymo brand is of course a well known brand in the UK. They currently produce gardening tools for the UK market, that include; mowers, grass trimmers, lawn rakes, hedge trimmers,leaf blowers and vacuums. Flymo are best known in the UK however for producing and manufacturing a range of hover mowers. This FTL330 Turbo is one of the highest rated of these, with an overall buyer satisfaction rating of 88%. Most hover mowers have an average price of around £70-80 and this one sits within that price bracket. It has a powerful 1,150 watt motor, a 33 cm cutting blade and 4 cutting heights (10-30 mm). This mower is suitable for small gardens but not for larger gardens. This mower does not collect the grass so please be aware of that. If you want a Flymo that does collect grass, then please check out our review on the Flymo Easi Glide 300, by clicking here. 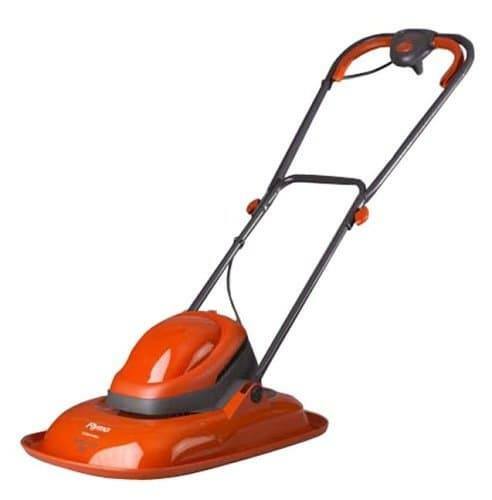 This Flymo FTL330 is one of their lighter options and at 88% buyer satisfaction is also one of their highest rated. Here at this website we like to read the reviews and then summarise those for you. In the pros and cons table below, we have listed in summary form both the good and bad points that buyers made when they left their reviews. In other words what they liked and did not like. There are hundreds of buyer reviews online so that should tell you that this lawnmower has sold in its tens of thousands throughout the UK and in Ireland. This is the classic type of hover mower. 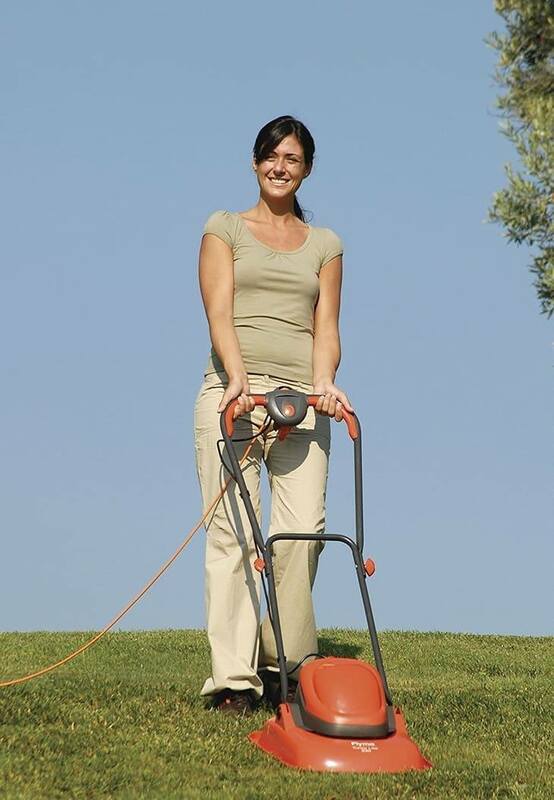 It is very light, easy to manoeuvre and overall does a really good job at cutting your grass. As it is made in this classic lightweight style, there are no frills with this one. It does not collect grass, so no grass box and it is made of a hard plastic, and all of those are designed to keep the weight down. It is super easy to assemble, very easy to use and relatively easy to clean. In terms of storage it probably does not get much smaller or easier than this model. This Flymo Easi Glide 300 hover came out as the number three choice in our top 5 list of hover motors, thanks to a good solid 88% buyer satisfaction. It is well priced and will do a very good job at cutting small sized gardens. It is also useful for reaching parts of your garden that a larger mower can not get to. You will need to clean up afterwards as this mower does not collect the grass. This is Flymo at its basic best. This type of mower was designed to be light and easy to use. People who have back problems, recovering from injuries, or simply not as strong as they used to be struggle to use a heavy lawnmower. Hover mowers for the most part are light in weight and are much easier to assemble, use and store. Those are the reasons that people buy these in the first place. They cut the grass really well without tearing it up, and although changing the blade height is fiddly, at least you have the option.